FREE APPRAISAL. 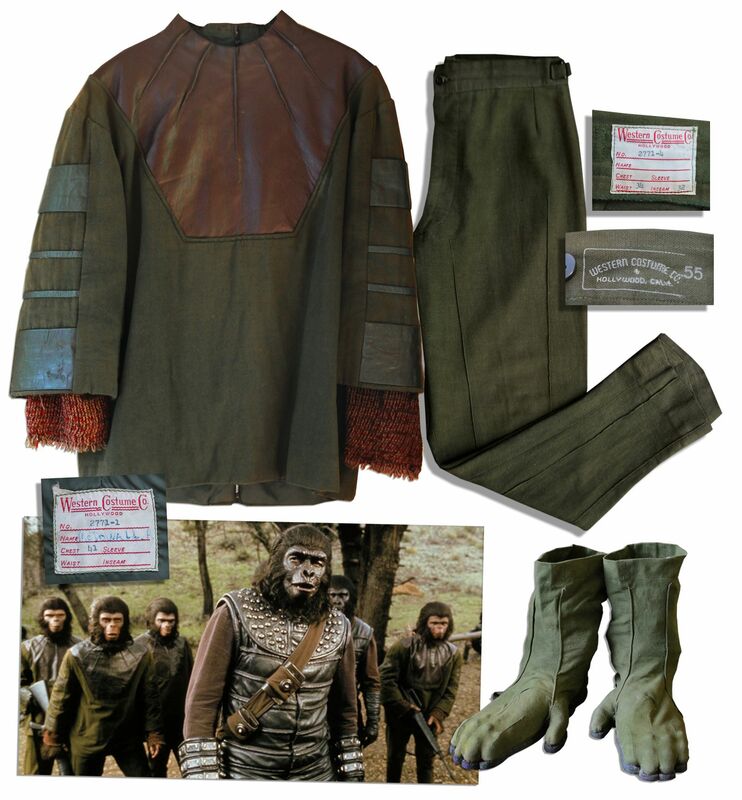 If you would like to auction, buy, consign or sell a Planet of the Apes costume, please email Nate@NateDSanders.com or call Nate D. Sanders Auctions (http://www.NateDSanders.com) at (310) 440-2982. Roddy McDowell’s screen-worn Planet of the Apes costume from 1968. Morton Haack was Oscar-nominated for costume design for this iconic picture. The 4-piece ape suit bears the label of legendary Hollywood wardrobe design house Western Costume. McDowell’s name is hand-written on the label with production number 2771-1, with the wardrobe department’s tag still attached. Green and brown cotton ensemble comprises a tunic, pants, and undergarment. Near fine. With provenance from Profiles in History. Sold for $9,582. FREE APPRAISAL. If you would like to auction, buy, consign or sell a Planet of the Apes costume, please email Nate@NateDSanders.com or call Nate D. Sanders Auctions (http://www.NateDSanders.com) at (310) 440-2982. Top dollar obtained for your costume from Planet of the Apes.